Sorry you haven't heard from me in a little while; I was very busy making a Turducken for Thanksgiving. This weekend I've been back at the sugar, however! 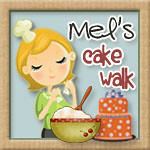 I am preparing for another cake competition next weekend. This is another local contest-- The Holiday Cake Affair. I've spent a lot of time playing with gum paste this weekend... I made 3 of these giant white poinsettias. Each of these poinsettias consists of almost 40 different pieces, so they really took quite some time. However, I'm really happy with how they turned out. I just hope I find a safe way to secure them to my cake. You are so talented and awesome! This is beautiful! If you don't mind my asking, what veining tool did you use to create it? I would like to achieve something similar but cannot seem to find a veining tool that would be large enough for something like this. Okay this is ABSOLUTELY amazing!! Wondering if you have a tutorial for these.